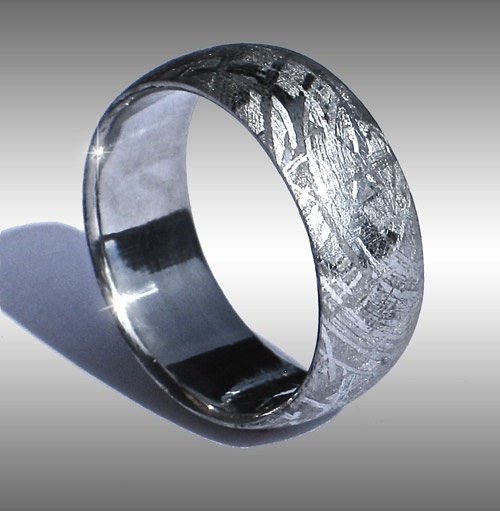 Style #001: Domed Gibeon Meteorite Ring with beautiful Widmanstatten pattern. This elegant ring is shown in a size 11.25, and 8.5 mm width. NOTICE OF COPYRIGHT: This web site and all of its contents are copyrighted ©. No reproduction without prior written permission from the copyright holder.